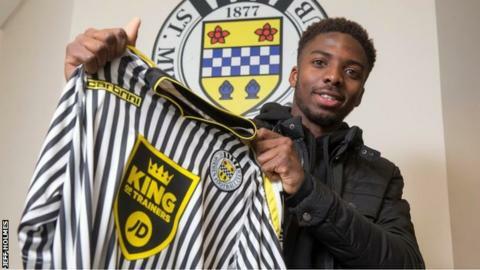 St Mirren manager Gary Teale has moved to compensate for the by signing Tottenham Hotspur's Emmanuel Sonupe on loan until the end of the season. The 18-year-old attacking midfielder came through Spurs' academy. He has scored two goals in 11 appearances this season for Spurs in the Under-21 Premier League. And in recent years he has been capped by England at Under-16 and Under-18 level.